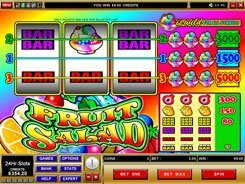 Fruit Slots is a mouthwatering fruit-themed Vegas-style slot consisting of three reels and one payline, with no gimmicks. The symbols are fruits and berries, including a plum, watermelon, cherry, lemon and orange. 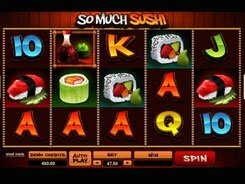 The maximum bet amount is $15 per spin. 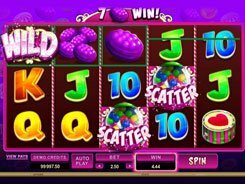 You can bet up to three coins per line, with coin denominations ranging from $0.25 to $5. 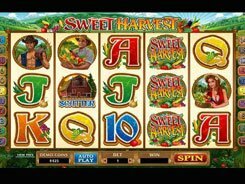 After the reels have come to a stop, you get a payout, provided a winning combination has occurred on an activated payline. 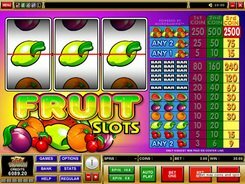 You can potentially roll up 12 winning combos, which values are specified in the paytable next to the reels. 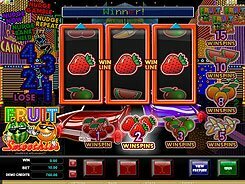 The jackpot win is 2500 coins awarded for three Mixed Fruits symbols gathered on a payline while playing at a maximum stake. Other symbols form less valuable combos, yet they hit often to keep you entertained for hours.